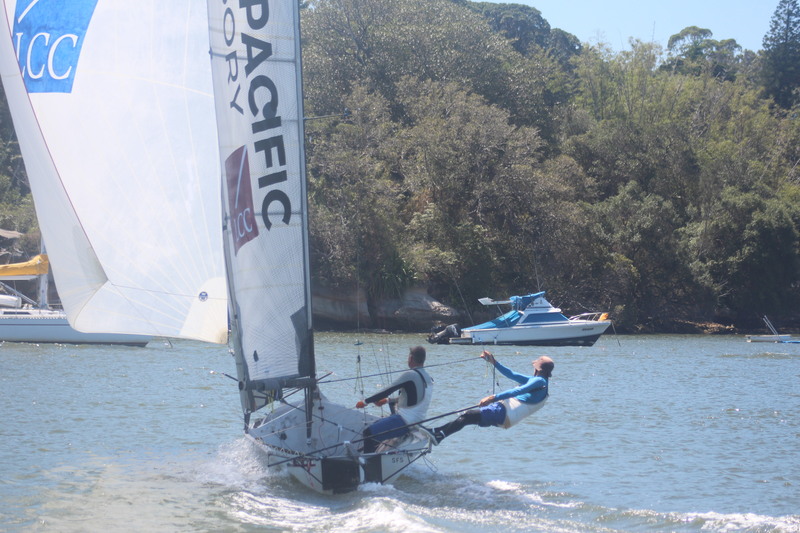 The 12ft Skiff fleet turned out to compete for the 12ft Jack Dempsey Memorial Sprint Series hosted by Abbotsford 12ft Flying Squadron. Plenty of chat and excitement through-out the park with the much-anticipated debut of the newly refurbish Skiff Shu-Styx Fabrications (Warren Miller & James Beck). A few of the usual teething issues causing a DNF in the first race with the boys recovering for a hard fought 10th in the second race, great to see this new campaign coming together. The rig choice was easy with a light North Easter filtered down the Parramatta river everyone plugged in No1 rigs. It was a father and son battle up the first work with Geotherm (Brett Hobson/Jeremy Jones) and LCC Asia Pacific (Jonathon Temple/Richard Jones) making the best of a short and sharp first work won the first start. 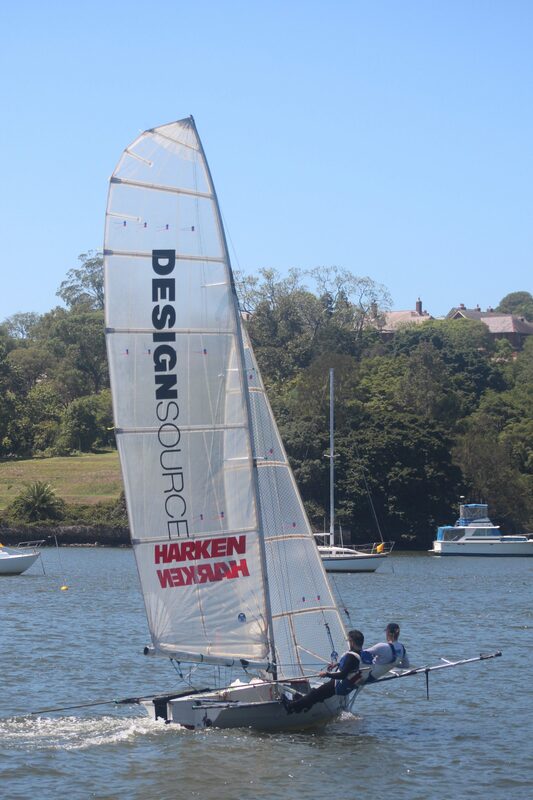 Sydney Sailmakers (Nick Press/Andrew ‘Noddy’ Hay) fended of Maersk (Adam Forbes/ Cameron McDonald) to round in 3rd with the Peloton in hot pursuit. The tight course meant position changes aplenty through the middle of the pack but out front Geotherm extended her lead and was never troubled as everyone else fought for a clear lane. 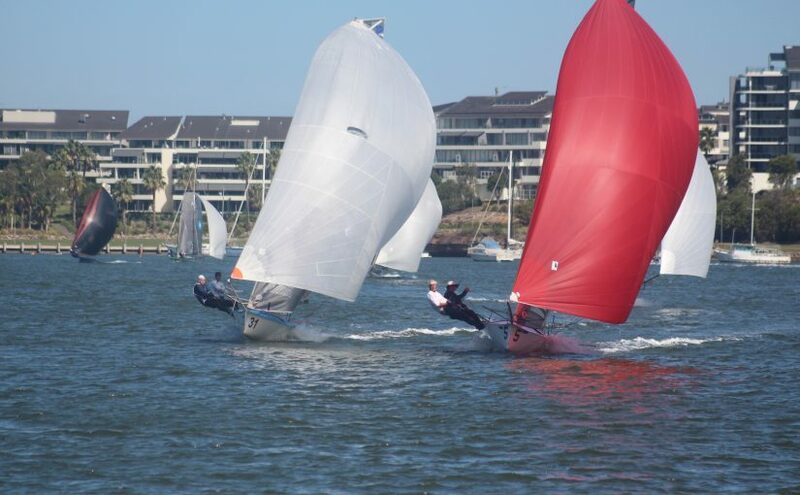 LCC Asia Pacific and Sydney Sailmakers crossed tacks at least 6 times on the last work with Sydney Sailmakers getting the better of the duel to grab 2nd. 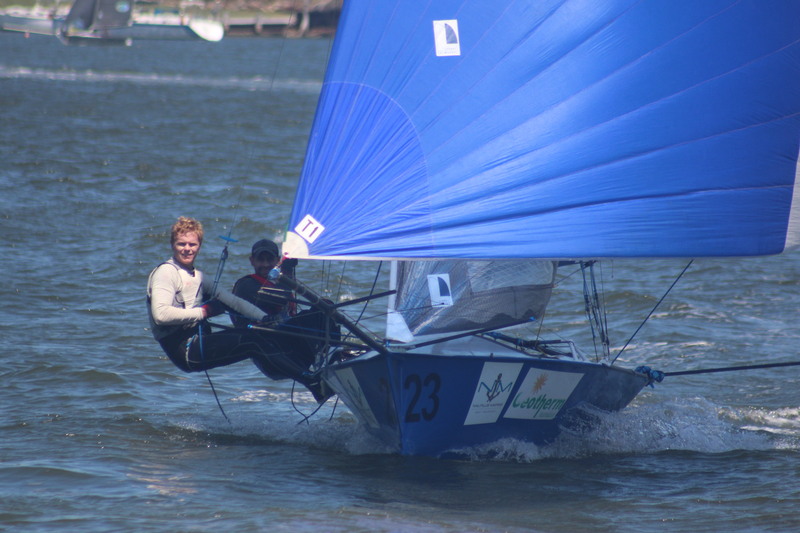 Fresh from sending it in Auckland Chapman High Performance Sailing (Jack Winning/ Brett Phillips) showed great downwind speed to overhaul Maersk and take 4th position. Race 2 go underway with the breeze having built slightly to make it a very comfortably big sail. Skiff.org.au (Ben Faulkner/Macca Patton) gave the fleet as sailing lesson with a beautiful port hand start giving them a jump on the rest of the Skiffs. 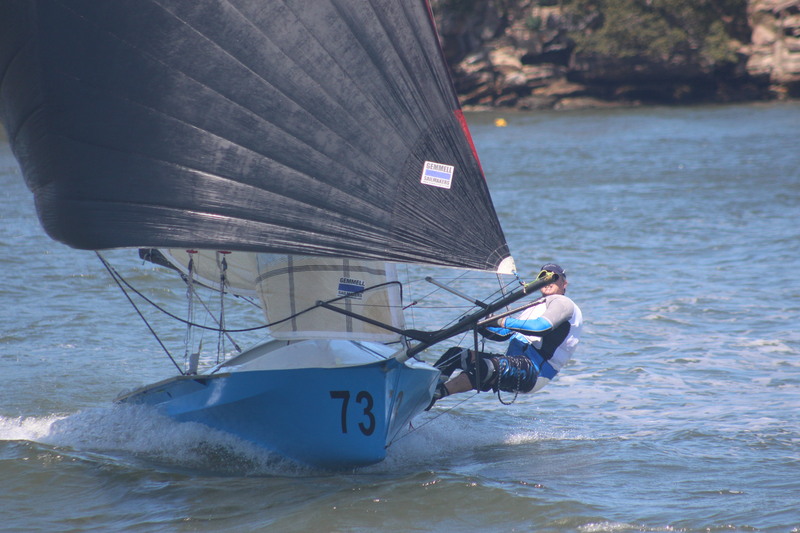 Sydney Sailmakers fought hard with Geotherm up the first work to pull in the leading skiff and lead around the top mark. 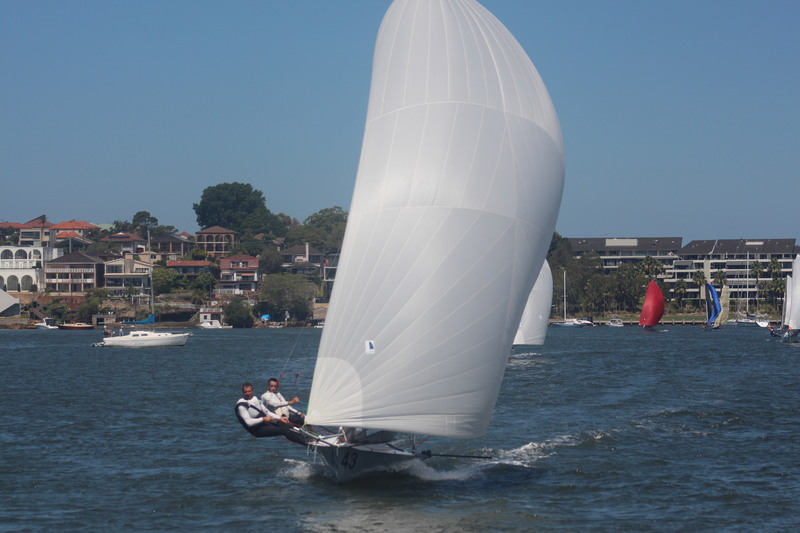 Once the kites were set Sydney Sailmakers extended their lead as the fleet fought for the podium positions. Skiff.org.au showing good pace to be fighting with Maersk for 3rd position down the run before an unfortunate fishing expedition dropping the kite pushed them back down the order. 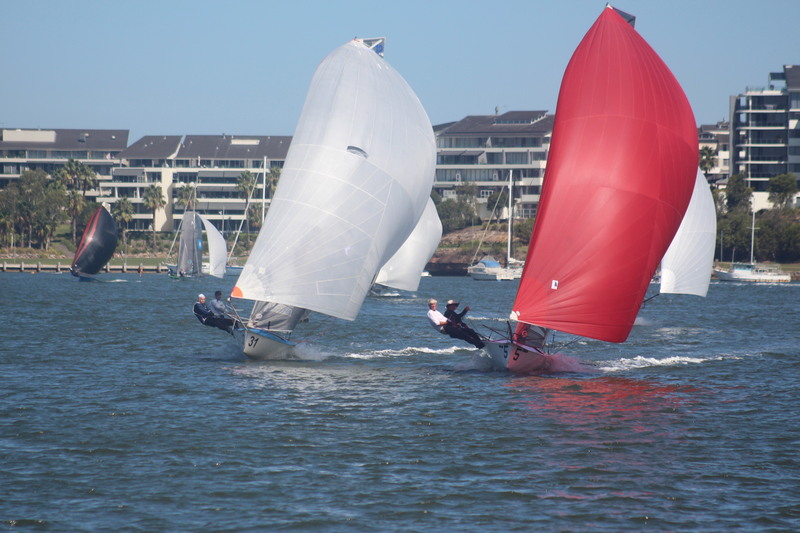 Sydney Sailmakers sailing through for the win with Geotherm in 2nd, LLC Asia Pacific 3rd, Maersk in 4th and The Bird (Jamie McCrudden/ Glenn Farquahar) 5th. Handicap honours went to Rip, Rack, Roar and Rumble (Ken Williams/ Bob Paton), The local Skiff Arrogant Frog sailed by the Hill Father and Son combination also had a good day out picking up two 9th places. This entry was posted in News, Race Reports and tagged Abbotsford on February 13, 2018 by skiffed_2.